When considering a market for the purposes of real estate investing, desirability is certainly one of the most important factors. Jacksonville is a great place to live life to the fullest. The city has a wide variety of distinct residential neighborhoods, with housing options to suit any style. Whether it be a luxury condo highrise downtown, a historic home or custom newly built homes in every style imaginable, there is a place for everyone to feel at home. 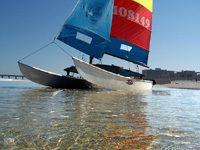 Expansion Magazine has rated Jacksonville as one of America's "Best Places to Live and Work". 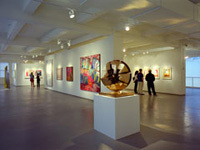 The city is home to the southeast's largest modern and contemporary art museum, endless miles of beautiful beaches and the largest urban park system in the United States. Stability and future growth of the local economy play a key role in the fundementals of real estate investing for any market. 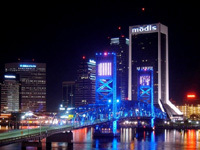 In a 2007 study which analyzed job growth, Inc. magazine ranked Jacksonville, FL as the #12 Boomtown in the nation. Several major companies have recently decided to make Jacksonville their home - including Korean shipping companies Hanjin and Matsui. Each of these two companies will be opening terminals in JAXPORT. The projects are scheduled to bring thousands of new jobs to the area and will make Jacksonville one of the largest and most successful port cities on the eastern seaboard. In order to accomodate the growing business and economy in Jacksonville, an expansion project for the Jacksonville airport began in 2006. This project will result in two new concourses, which are slated to open by the Spring of 2009. The population in Jacksonville, FL has been growing at a very rapid pace for several years and is projected to continue strong growth in upcoming years. According to census, an average of 75 families are moving into the city of Jacksonville every day! 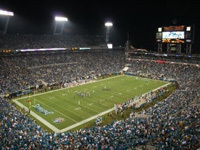 As of the 2006, Jacksonville is the third most populated city on the east coast, after New York City and Philadelphia. With a median age of 36, Jacksonville's population is significantly younger than other major Florida cities. Fifty percent of the population growth is coming from people moving here to take advantage of employment opportunities. With a young workforce, wonderful climate and business-friendly environment, the greater Jacksonville region has enjoyed tremendous growth and prosperity over the past decade. Where else can you find a coastal city with single family homes available for less than $100,000? It simply does not exist. Considering the growing local job market for 'working class' labor, it will not likely last very long either. The pricing in Jacksonville, for savvy investors, is well below the replacement cost of a similar home. This, in itself, is a huge advantage. Entry level homes in the Jacksonville market are priced significantly lower than in any other city in the state of FL, making it an attractive place to be for first time home owners. It may very well be the least expensive entry market of any major city on the entire east coast. In any marketplace, supply and demand are critical components. The housing market in Jacksonville did not experience extensive over-building, as was the case in many other parts of FL. At this stage, new construction - particularly in the entry level market - has nearly come to a complete halt. Builders are certainly not focusing on producing new single family homes under $200,000, as it is simply not profitable. The result is that the housing supply, in this segment of the market, is, for now, somewhat fixed. With the population growth occurring, due to the influx of jobs, the entry level housing is now and will continue to be in very high demand. 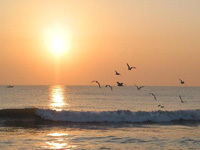 Click on the links below to learn more about Jacksonville and the surrounding areas.